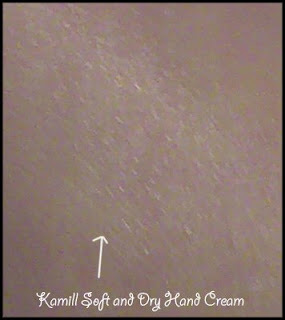 Review: Kamill Soft & Dry hand cream - Cherry Colors - Cosmetics Heaven! As some of you may know, I have this thing for hand creams. I can't live without a hand cream, and when I go to sleep, I make sure that there's one just next to my bed! I currently have five hand creams (opened) but I use only three of them. I almost used up the Neutrogena one and the Essence hand cream. But this time, it's time to review my latest addition to my little collection of hand creams. 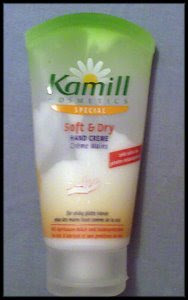 Kamill Soft and Dry hand cream - 75ml. I bought it in a supermarket - Mercator for 2,75€. I was choosing between a Dove hand cream or this one. But this one won, for some reason. That was a bit less than two weeks ago. 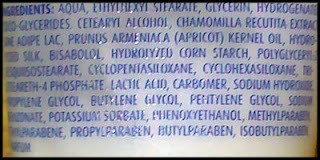 And I've already used so much of it, but the thing is that even if there's a tiny hole, the cream is quite liquid and so a lot of it gets out! It's a nice cream that really moisturizes my hands, even a little better than Essence hand cream does! 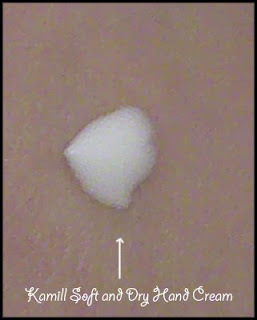 But after two weeks, it doesn't have the same effect as before. Oh well! *With one squeeze of the tube, too much cream goes out! I can't say it's the best of the creams I've tried so far, but it's better than the Essence 12h repair cream. But still, I'm not sure if I would buy it again because it gets used up too fast. Plus the scent is gentle but a little bit artificial. I really wish it could work perfectly for me, but it does not. But it's a nice product for those who have dry hands, it helps for a couple of.. minutes. Sorry if this review isn't really detailed, but I'm dying over here. I need to sleep, but again if I would go to sleep, I would feel that my day was wasted. Plus it's raining and I want to go out (hahaha how weird is that, when there was the sun I was hiding inside like a worm!). Oh well, #_#.